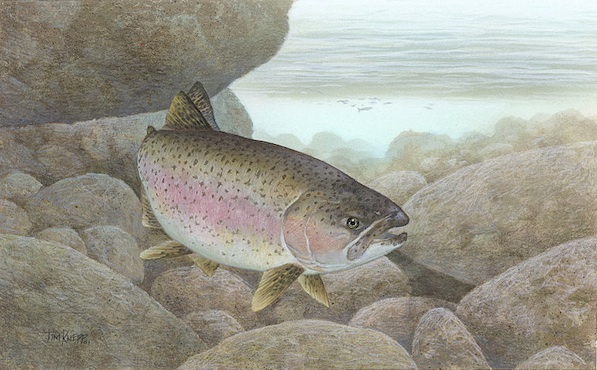 “Experts estimate that the run of adult Steelhead in the Carmel River used to be between 12,000 and 20,000 a year. In 2009, the adult Steelhead count was 94. When my dad was a young man in the late ‘30’s, early ‘40’s he figured he could hook and land 150 fish a year out of the Carmel River. My son has never caught a fish out of the Carmel River. ORDER 95-10, a cease-and-desist mandate from the State Water Resources Control Board, ordered Cal-Am to make significant reductions in the amount of water taken from the river by the end of 2016. "